Today’s post is quiet exciting! A few weeks ago I received my first ever Vox Box from Influenster. To top it all off, this box featured all products from one of the brands I really like – Bourjois. 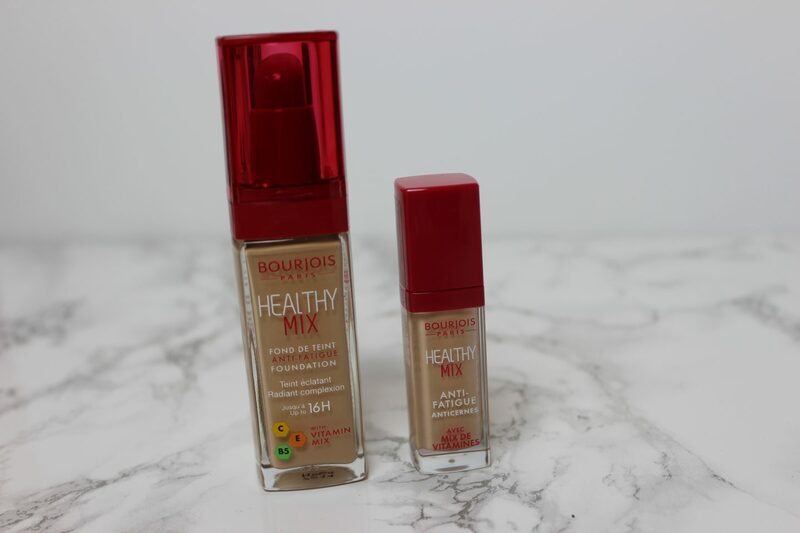 I’ve been loving their foundation recently, especially the 123 Perfect, and I also have been using their Healthy Mix finishing powder, which I have repurchased more times than I can remember now. 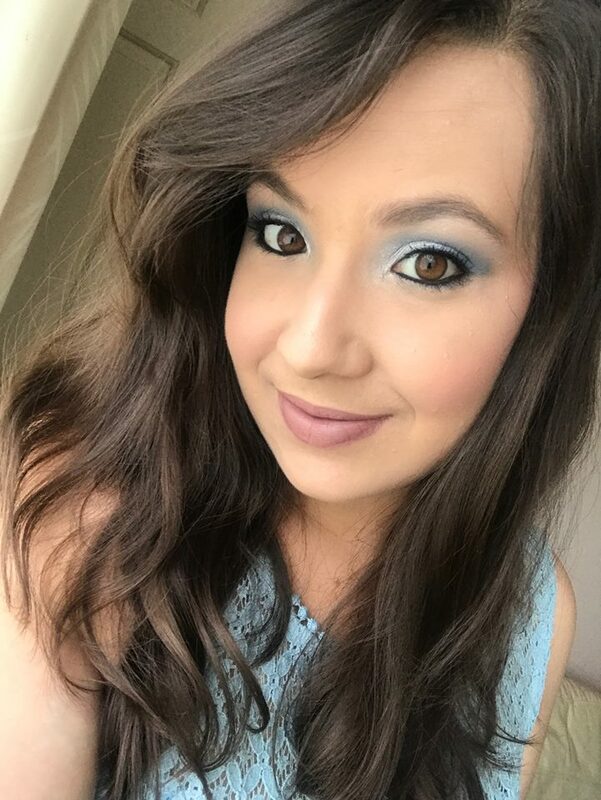 So I received all these products complimentary of Influenster to test out. This is the first time ever that I received a Vox Box from Influenster so I was pretty excited to receive all of these products and they’re pretty good to! The main theme to this box was Christmas i.e Bourjois Kissmass. Hence the new Metallic Lip Creams, which are limited edition. Who doesn’t love a bit of glitz and glamour around the festive season? 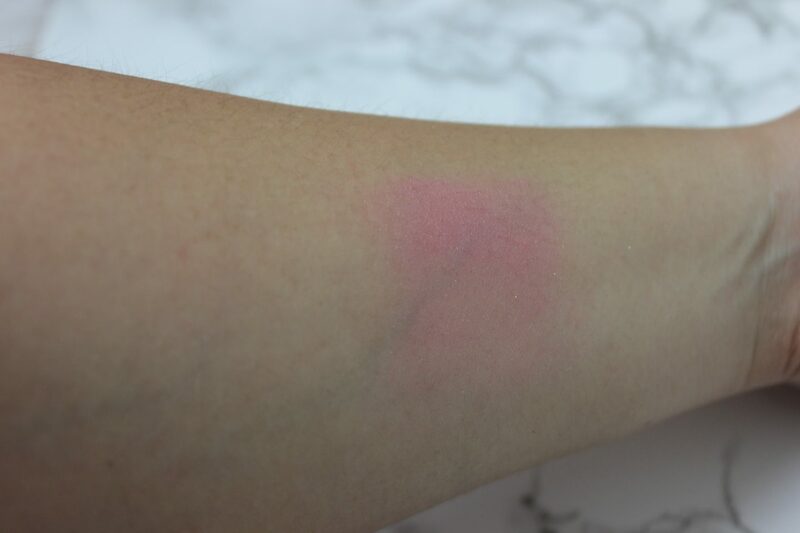 In this post, I will be sharing my thoughts on the products and also show you some swatches. Here we have their Healthy Mix Foundation and their Anti Fatigue Concealer. I have already tried their Healthy Mix foundation before, but I think it was with their older formula, so it was nice to test this one out. I already knew I would like it because generally I do like using their foundations. This is a very lightweight foundation and it doesn’t feel like you’re wearing any, which is a great plus! I would say this foundation provides a medium coverage, but also buildable. It blends into my skin very well and lasts pretty good throughout the day. Accompanied with my Healthy Mix Setting Powder, ofcourse. I also used the Urban Decay Setting Spray to set my face. This was a first time for me using their concealer for my under eyes, which was pretty decent. I used 2 layers of this concealer as I do have dark circles, so I always try and cover it up the best I can. It did a pretty good job in covering them up, you will be able to see through the photos I will post of my full look later on in this post. 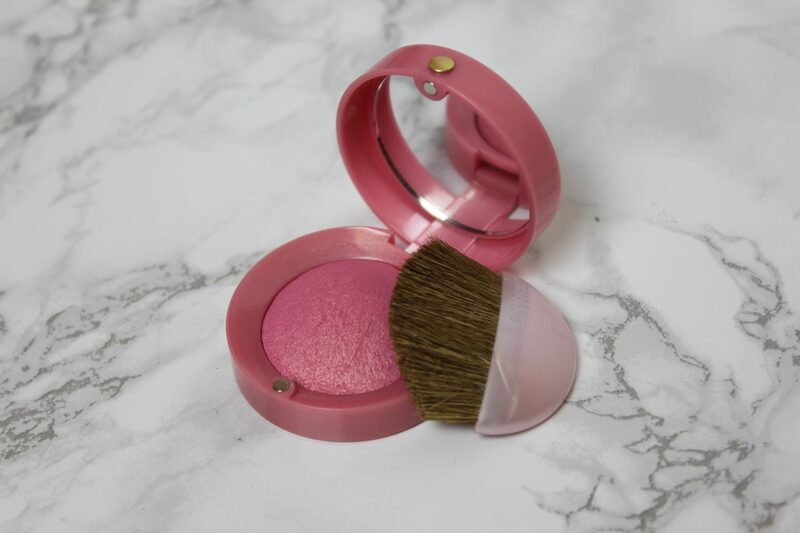 I really like this blusher as it is a nice every day pink blush shade. Perfect for days where you want just a hint of a colour flush to your cheeks. You can also build up the intensity of the colour by topping up the colour on top. I probably won’t ever use that brush that it comes with, but it still looks cute. 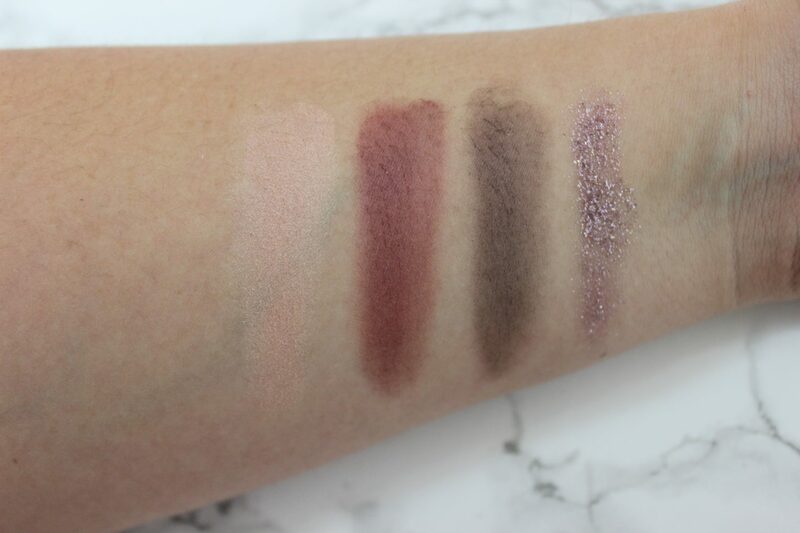 Here we have an eyeshadow quad from their Smokey Stories range in the shade 15 Brilliant Prunette. My instant reaction to seeing this in the box, was wow, that sparkly shade in the middle looks so pretty! As my favourite colour is purple, the overall look of this palette really screamed all the right things. So I was instantly drawn to that sparkly shade in the middle, but as I came to use it on my eye lids, I was a little disappointed at the pigmentation of it. I was expecting a lot of pigment with this glittery shade of the palette, but it wasn’t that at all. It is more of a dusty texture, a colour that you would use as a topper on top of the eyeshadow rather than a full on glitter shade that you would use on its own. 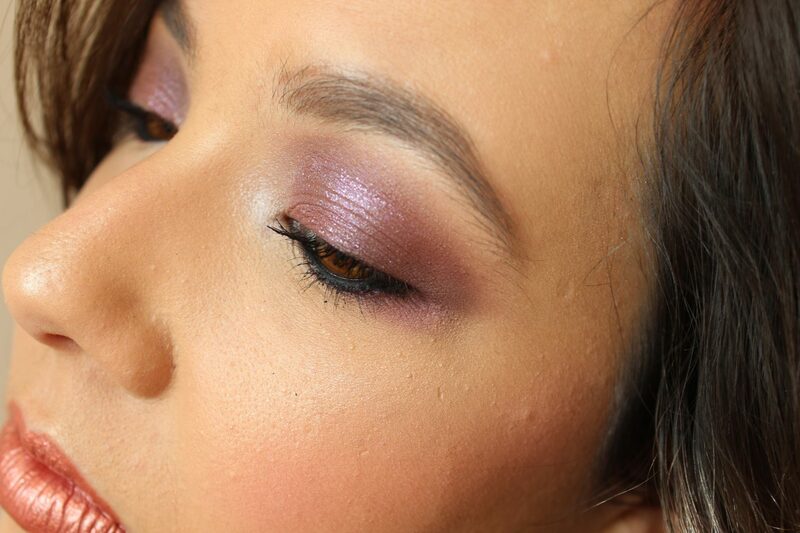 Which is probably what this shade is meant to be used for – just to add that touch of sparkle to your purple smokey look. 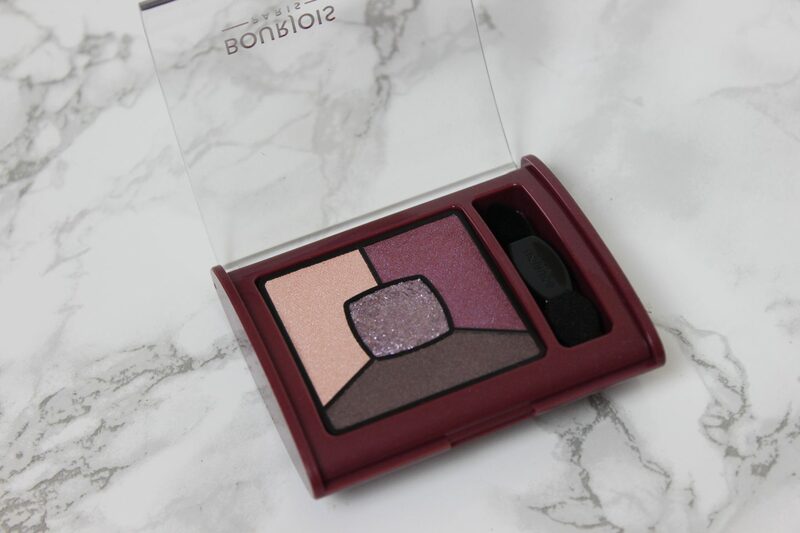 The back of the eyeshadow palette describes this shade as a ‘ Light Touch ‘ colour. Which I agree with, I used this with my finger on top of the purple smokey look I created in the photos below. The rest of the shades were pretty good, pigmented and easily blendable allowing you to create a smokey purple eyeshadow look. 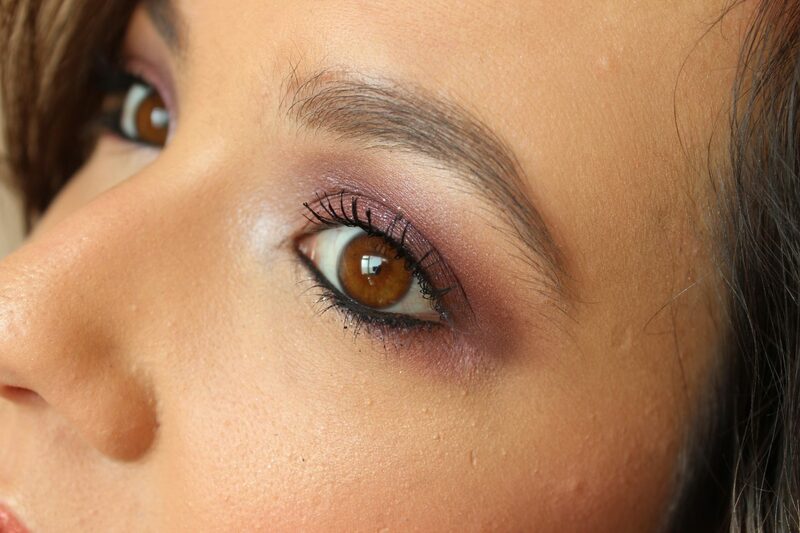 Below are photos of the smokey purple look that I created with this palette. I used the Light Touch sparkly shade as a topper on the middle part of my eyelids. I think this might be the 1st or 2nd time I’ve tried a mascara from Bourjois and I’m impressed so far. 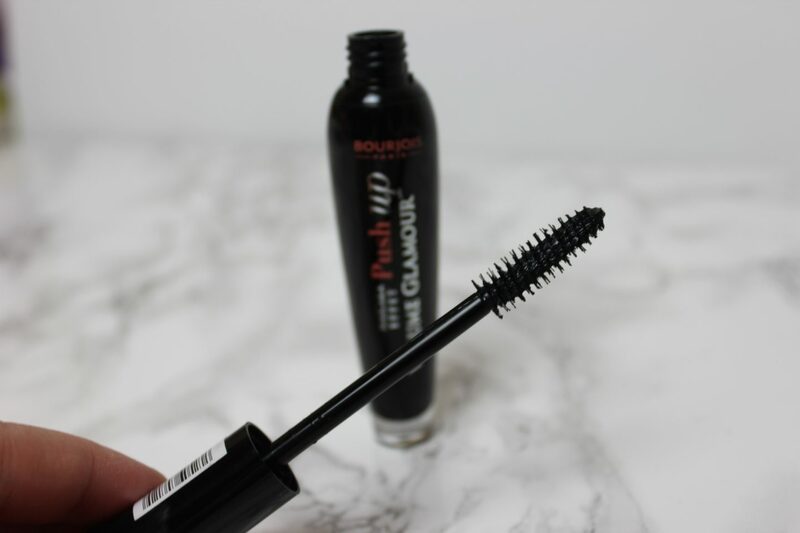 This is the Push Up Mascara by Bourjois. This mascara creates a nice voluminous effect to your lashes which is what I always look for in a mascara. I always add quite a few coats of mascara to get my desired volumised look that I want for my lashes. 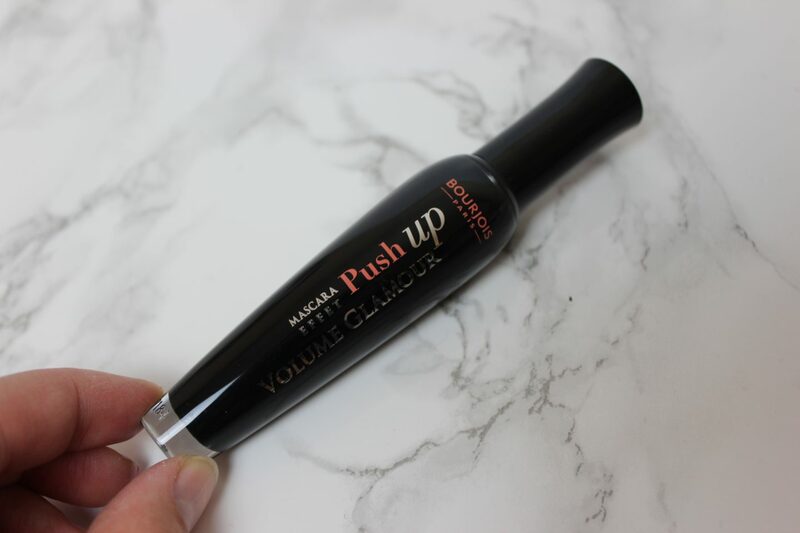 This mascara allows you to layer on the product as it does not dry too quickly which is great because it allows me to add a few more coats of product without getting clumps. I also really like the wand as the bristles are good for seperating the lashes and allowing you to add product to all your lashes easily. Last but not least, we have the stars of the show! 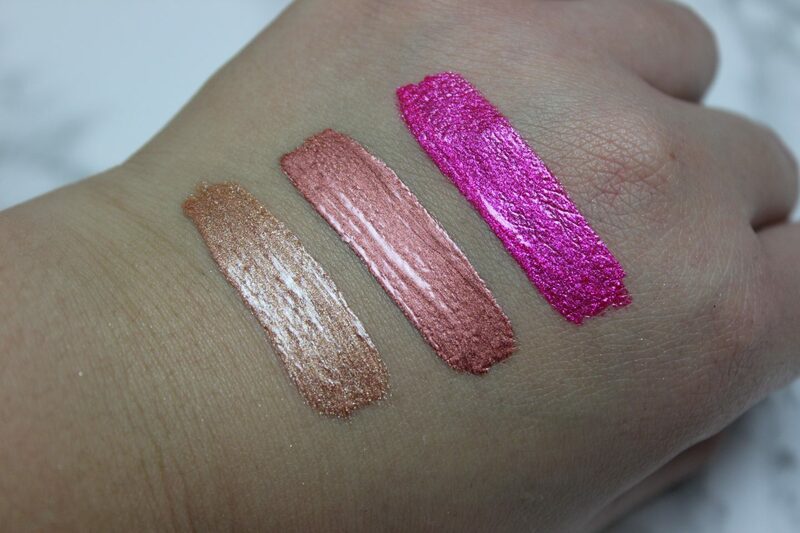 The Limited Edition Metallic Lip Creams. 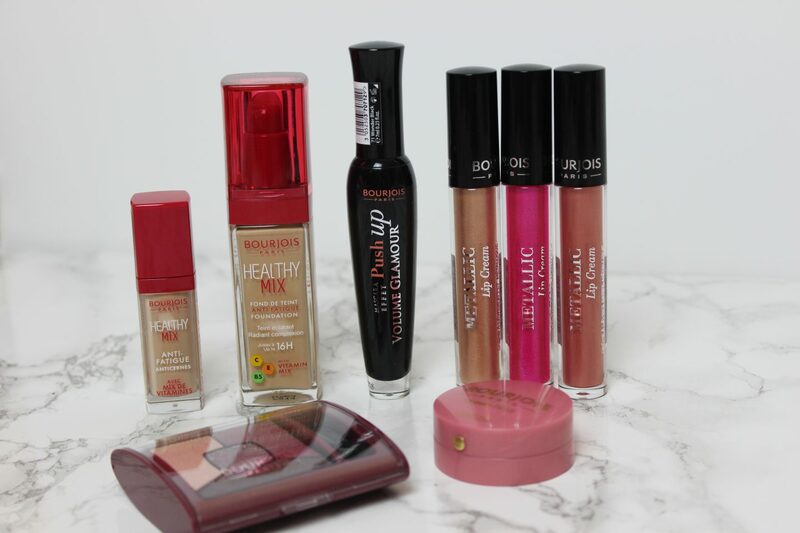 These are the exclusively available to Superdrug stores. Below are swatches on my hand and on my lips of these lovely vibrant colours! Perfect for this Festive Season and New Year celebrations. 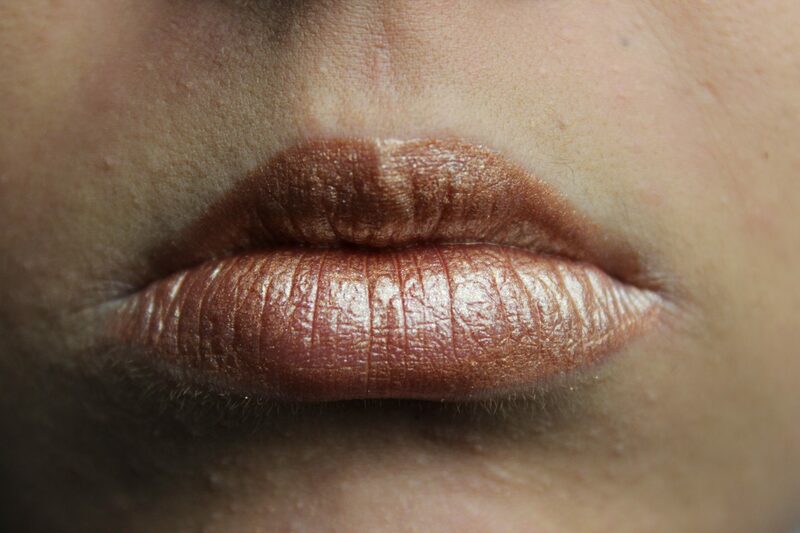 The formula of these metallic lip creams are a little thick but not uncomfortable at all. They feel glossy rather than a cream as the name suggests, but the formula also glides on nicely as a creamy texture would feel. They do not dry down at all, so it will remain glossy on the lips. They are so vibrant and full of colour. I’m not sure where I would wear these kind of shades but they are so fun to wear and feel really comfortable. They are not gritty or anything, very smooth formula. I think my favourite shade from this bunch is the rose gold, Guilded Rose, shade. 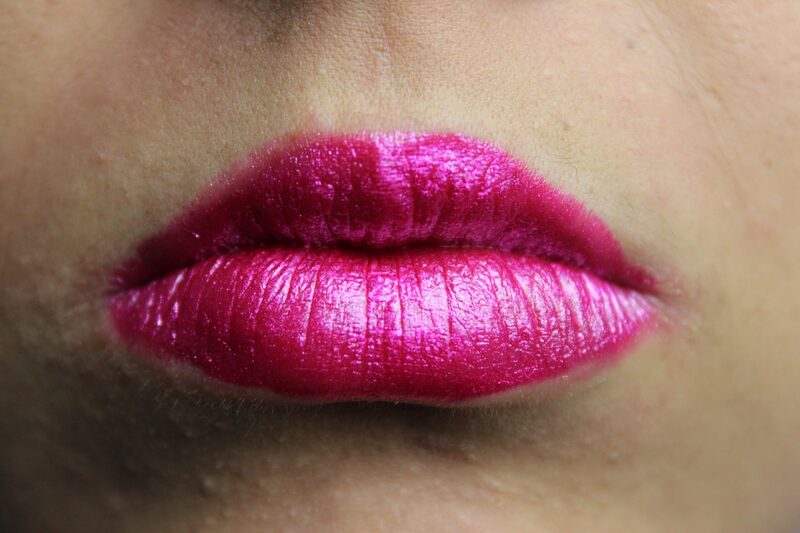 These Metallic Lip Creams are exclusively available at Superdrug stores and are priced at £7.99 each. 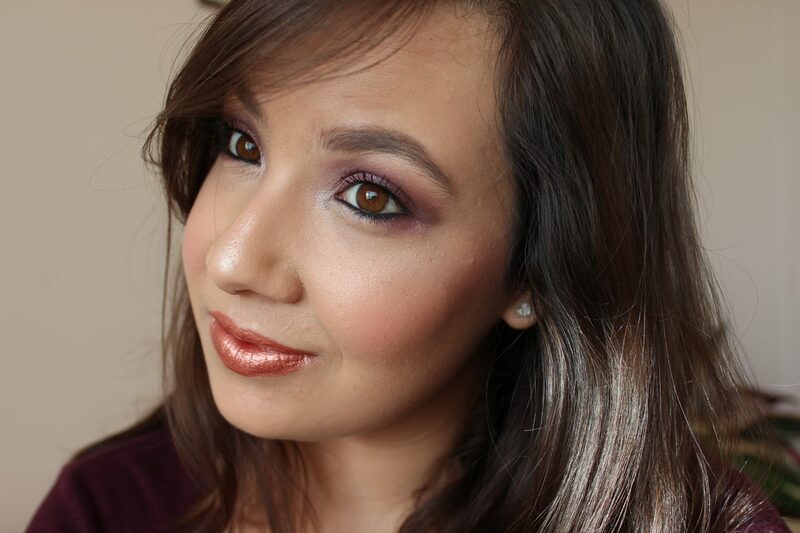 Here is the full look I created using all the products I received in my Influenster Vox Box. 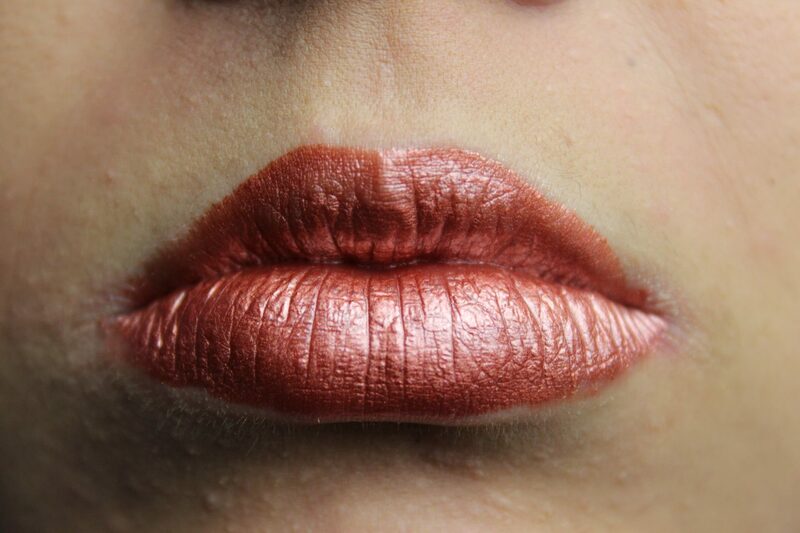 I used the Guilded Rose Metallic Lip Cream shade on the lips. Thank you once again to Influenster and Bourjois for sending my this Vox Box. I received these products complimentary to test out and review and I loved the experience. It was so exciting to finally get my 1st Vox Box and try out these products. I hope you enjoyed reading this post. 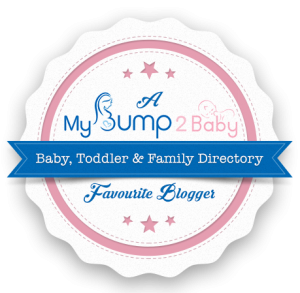 This is probably my last blog post for 2017! Wow, we are almost in 2018, can you believe that?! I really want to try and post more in 2018. Happy New Year everyone!